Retirement village living usually involves significant financial commitment and lifestyle changes. An information booklet (322.7 KB PDF) is available for retirement village residents and prospective residents which reflects the new Retirement Villages Act 2016 and the Retirement Villages Regulations 2017. If you have questions please contact Office for Ageing Well’s Retirement Villages Unit on 8204 2420 or at retirementvillages@sa.gov.au. A guidebook Best practice for retirement village residents' committees is available which reflects the legislative requirements along with suggestions for implementing best practice principles for the operation and function of a retirement village residents' committee. A word version of the example rules from the residents' committees guidebook is also available and can be amended for use by residents' committees in retirement villages. The information sheets below also provide useful information for residents and prospective residents about living in a retirement village. 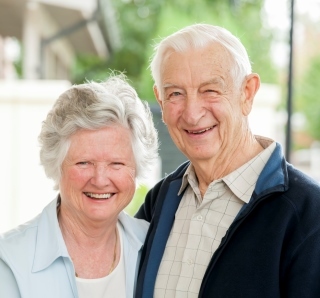 Introduction to retirement village living (537.9 KB PDF): Information about retirement villages, commonly used terms and relevant legislation. Before moving into a retirement village (357.1 KB PDF): Information to help you if you are considering retirement village living, such as what type of village you want to live in and what you can afford on a continuing basis. Moving into a retirement village (418.9 KB PDF) – disclosure statement and residence contract: Information about documents an operator is required to provide you with before you sign a residence contract and information about your cooling-off and settling-in periods. Living in a retirement village (390.1 KB PDF) – fees and charges: Information about fees and charges for which you might be responsible when living in a village, when these fees might increase and when an operator is required to consult with residents. Living in a retirement village (372.5 KB PDF) – residents’ committees: Information about the structure and function of a residents’ committee within a retirement village. What if I have a dispute with a Retirement Village (195.8 KB PDF) - dealing with disputes: Information about dealing with disputes in a retirement village. Request for Assistance to resolve a Retirement Villages dispute - if you have been unable to resolve the issue directly with the operator of the retirement village through the village's dispute resolution policy, submit a request for assistance using this online form. Leaving a retirement village (346.3 KB PDF): Information relating to leaving a village, relicensing your residence and when and how you will be paid your exit entitlement. Further information and advice (364.5 KB PDF): A list of organisations that can assist you with further information. Retirement villages checklist (415.1 KB PDF): A checklist to assist you in making a choice about moving into a retirement village.